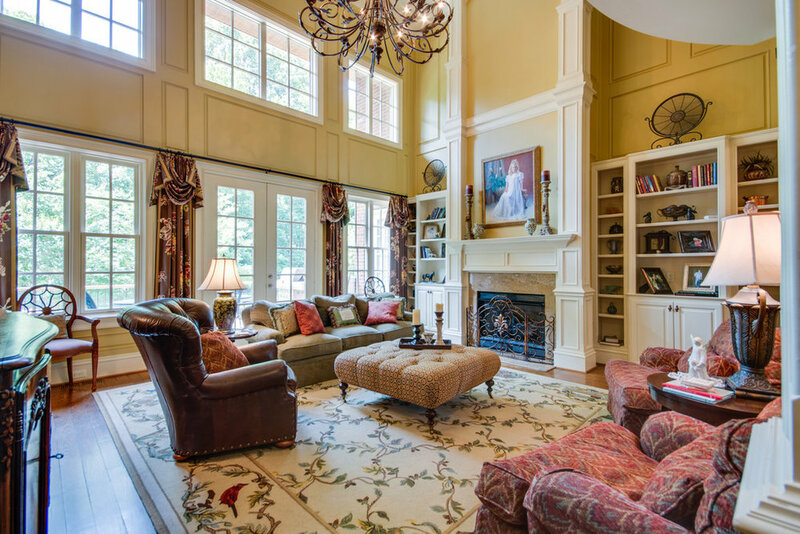 This luxurious estate is located on 61.3+/- picturesque acres in the heart of Williamson County. It sits 15 minutes from Cool Springs, 13 minutes from Arrington Vineyards, and 35 mins from downtown Nashville, and within the 840 loop. This gated home is an impressive 8,857sq/ft with 6 bedrooms, 5 full baths, 2 half baths, and a cozy bunk room in the basement for extra guests. Don't miss your opportunity to own a gated estate with a horse farm and hunting area, and with this much land in Williamson Co!! Relax in one of the multiple living, game, and bonus areas fully integrated with custom millwork and build-ins throughout the entire home. Escape to your own private oasis with a spacious screened in upstairs back porch, open and covered back patios, and in-ground pool and hot tub jacuzzi complete with a soothing waterfall. Walk along wooded trails and enjoy the wildlife on your own hunting land. Entertain for small or large groups with one of the multiple upstairs or downstairs kitchen and dining areas. – Two-story grand entry foyer and great room. – Gourmet eat-in kitchen complete with custom cabinetry, granite countertops, center island with farm sink, and a serving bar with a prep-sink. – Butler's pantry with a wine refrigerator. – Custom paneled office with a coffered ceiling. – Multiple dining areas on each level for different occasions. – Spacious master suite with a jacuzzi, gorgeous walk-in shower, and a walk-in closet with a center island. – Multiple living, game, and bonus rooms throughout. – Screened in back porch with vaulted ceiling, and back patio with brick arches. – Double decker front porches. – Secluded in-ground pool and hot tub complete with a pristine waterfall. – Horse Farm included! 36x36 three-stall horse barn with concrete flooring, 3 rubber floored stalls, and paddocks. – Hunting land!! Scenic trails leading into 50+/- acres of wooded land, perfect for hiking, hunting, or riding ATV's.